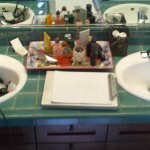 The design process culminated with the Owner and myself creating a masterful Master Bath. 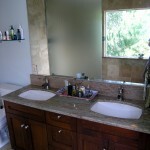 A lot of time was spent on the selection of the Granite counter top and window sill, the Travertine walls and floor. 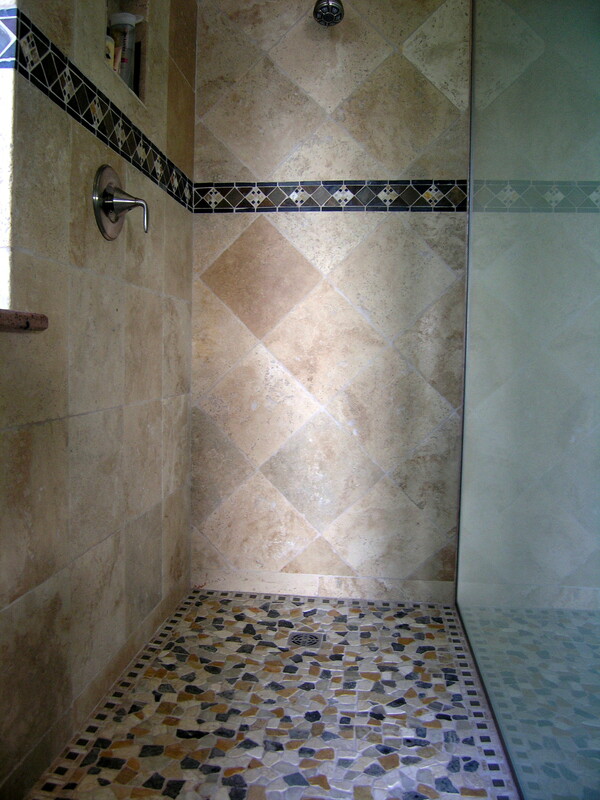 I did the initial design of the new walk-in shower, the tile patterns on the walls and floor and the use of natural stone throughout the bath. 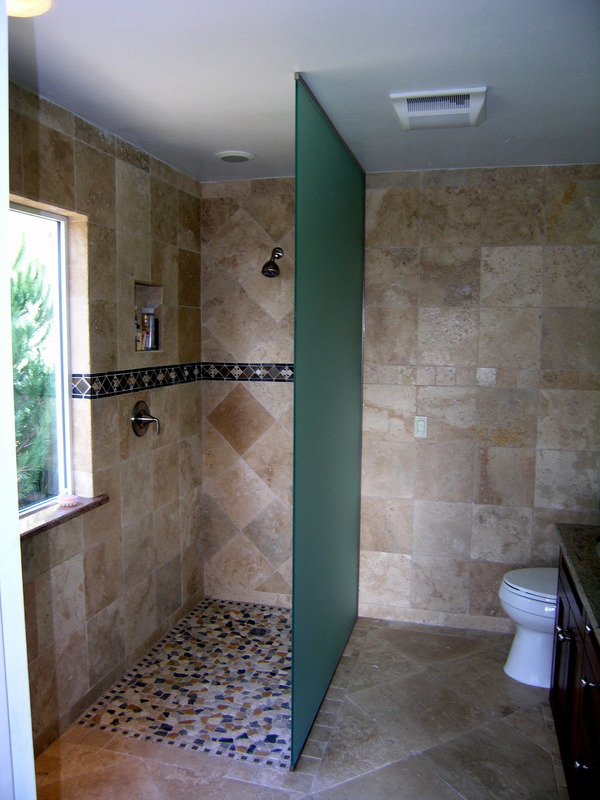 With the help Paul Hernandez (Mission Tile and Stone) and the Owner we tweaked the design to come up with a great looking Master Bath. 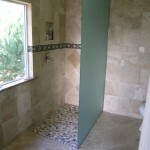 The demolition included removing the old shower, the bath tub, the old toilet and all the existing tile. 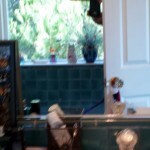 We left the existing cabinet, mirrors and the lights above the vanity. 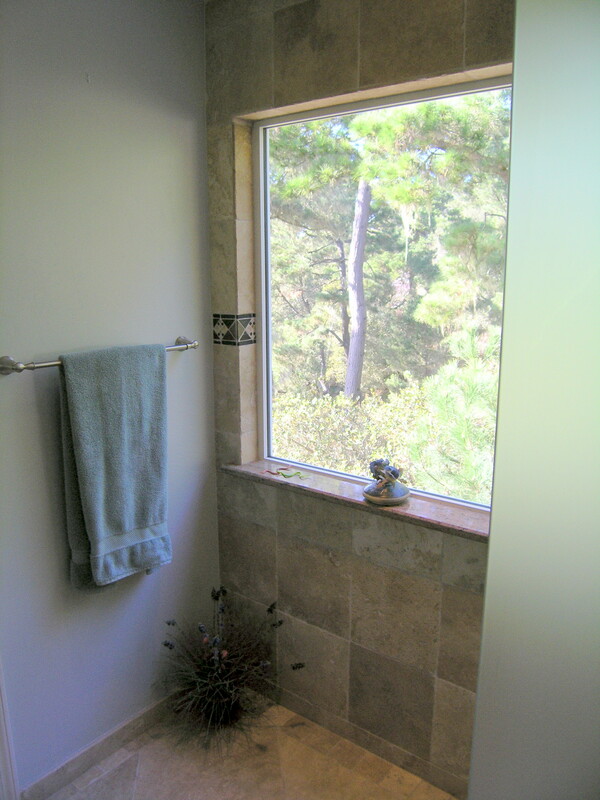 With the tub removed it gave enough space for a larger walk-in shower and a more spacious over all feel to the room. 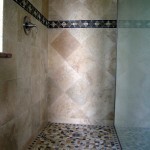 The stone work material consists of tumbled Travertine in 4×4; 12×12; 16×16 tiles. 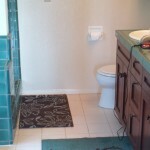 We used the 16×16 tiles laid diagonally on the floor with a 4×4 as a boarder and cut 16×4 pieces for the baseboard. 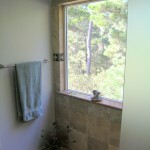 On the walls we used the 12×12,with them set diagonally in the shower area. 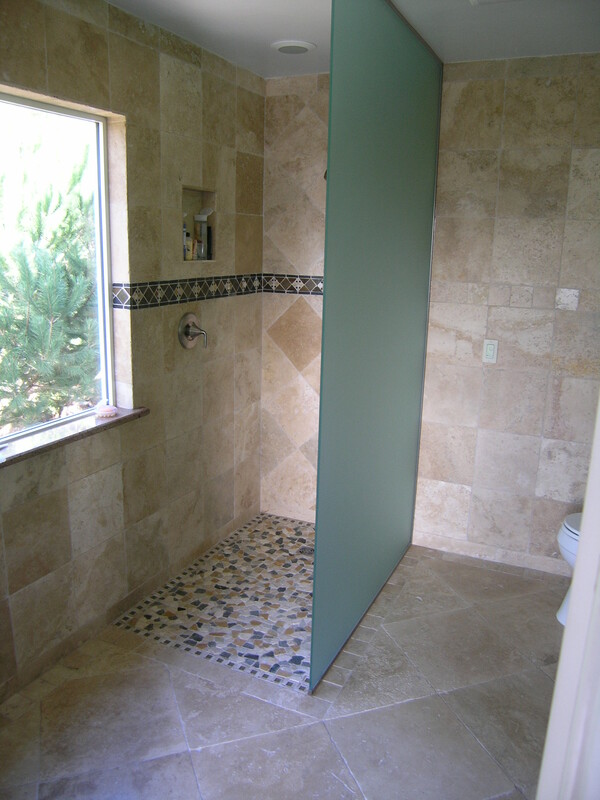 The floor of the shower is made up of flat stones and the owner picked out a 4″ liner that picked up the colors in the shower floor. 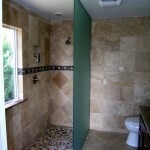 We added a 4×4 liner on the back wall to match up with the shower liner and it ties in with the floor boarder. 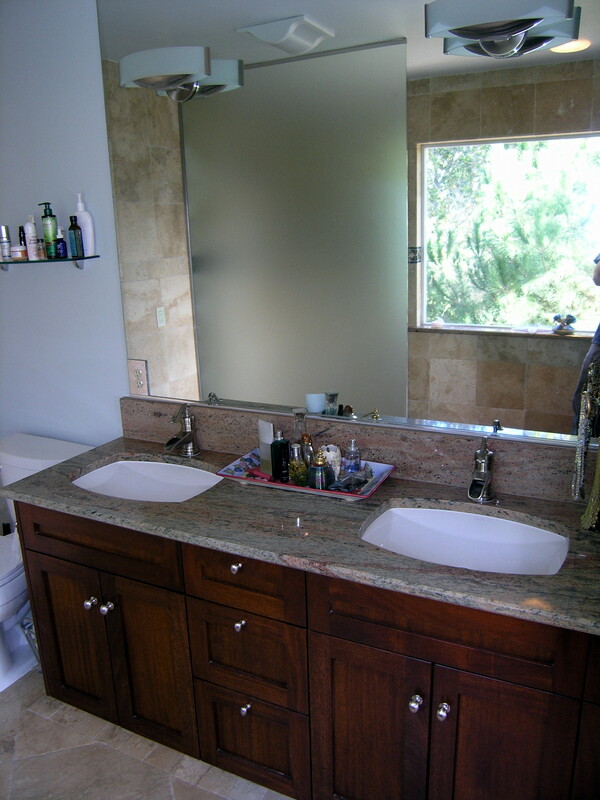 The satin etched glass wall defines the shower area and the granite vanity top with the rectangular under mount sinks add the final touches to the masterful Master Bath.